At that time a drainage channel was directly connected to the sea. In it all Beta radiation such as Strontium was included. Then there was another report from a Japanese blogger with title of “Reasons why the Japanese government never want to admit the facts concerning the Reactor3 explosion “核爆発であることを政府がどうしても認めたくない理由”. According to one of the laws mentioned on the MEXT website, when the nuclear explosion occurred, humans were going to be exposed to high dose of ionizing radiation, thus our health and our finances were going to be at risk. Therefore, Tepco and the Japanese government were to be responsible for the nuclear disaster victims if they admitted there was nuclear explosion. That’s why Japanese Government requested the Japanese national and local media not to broadcast any photo or video of the explosions. Also, they postponed to admit there were 3 meltdowns at Fukushima crippled plant. Tokyo Electric Power Co., has acknowledged that an undersized and unstable pool of workers has led to a series of mishaps at the devastated Fukushima Daiichi nuclear plant site. More than two years after an earthquake and tsunami led to the partial meltdown of the plant’s reactor, dangerous leaks continue to plague the site,compounded by worker errors such as removing the wrong pipe and spilling 7 tons (6.4 tonnes) of radioactive water. “We are not sure about our long-term staffing situation during the upcoming process of debris removal, which requires different skills,” Tokyo Electric Power (Tepco) vice president Zengo Aizawa told reporters. Aizawa had been called on the carpet earlier in the day to answer for what Nuclear Regulation Authority chairman Shunichi Tanaka called “silly mistakes,” caused by declining worker morale. Tepco president Naomi Hirose admitted to the difficulties in recruitment, but assured Tanaka that more staff would be sent from other sites to assist in the Fukushima plant’s decommissioning. Shifting staff is a short-term measure, which leaves the future of the long-term site remediation up in the air as long as the company continues to have trouble recruiting capable workers. In the months following the accident, Tepco claimed to have secured 24,000 workers, but some 16,000 quit within months due to harsh working conditions and the fear of dangerous radiation levels. Japan’s elderly tried to step up in hopes of saving younger workers with decades of life ahead of them, but finding skilled labor continues to be a challenge. A web of labor brokers and subcontractors have given rise to pay skimming, corruption, and ties to organized crime, according to a Reuters investigation. In past months, Tepco officials denied that there was any shortage of workers, but today’s admissions could mark a change, as Tanaka has never before challenged Tepco officials so directly. He urged Hirose to take “drastic steps” to solve the labor issues and put a stop to the spate of accidents and leaks. Remediating the site is expected to cost $150 billion over the next 30 years, with at least 12,000 workers needed just to take the project through 2015. There are currently just over 8,000. (Reuters) - Japanese Prime Minister Shinzo Abe's government is planning a state secrets act that critics say could curtail public access to information on a wide range of issues, including tensions with China and the Fukushima nuclear crisis. Outside Abe's official residence, several dozen protesters gathered in the rain in a last-minute appeal against the move. "We are resolutely against this bill. You could be subject to punishments just by revealing what needs to be revealed to the public," one of the protesters said. The new legislation would create four categories of "special secrets" that should be kept classified - defense, diplomacy, counter-terrorism and counter-espionage. Journalists and others in the private sector who encourage such leaks could get up to five years in jail if they used "grossly inappropriate" means to encourage leaks. TEPCO must address ‘institutionalized lying’ before it restarts world’s biggest nuclear power plant – governor Rt.com October 28, 2013 Tokyo Electric Power Co must give a more thorough account of the Fukushima disaster and address “institutionalized lying” in the company, before it will be permitted to restart the Kashiwazaki Kariwa plant, according to a local governor. “If they don’t do what needs to be done, if they keep skimping on costs and manipulating information, they can never be trusted,” Niigata Prefecture Governor Hirohiko Izumida told Reuters on Monday, adding that these limitations need to be overcome before the plant is restarted. It is up to Izumida to approve plans to restart the reactor at the TEPCO-run Kashiwazaki Kariwa – the world’s biggest nuclear complex, located on the Japan sea coast, north-west of Tokyo. His personal commission would examine both the causes and handling of the disaster at Fukushima and lay them alongside existing regulatory safeguards to ensure a similar crisis could not reoccur. If Japanese nuclear safety regulators do lend their approval to the restart plans, Izumida remains able to essentially block TEPCO’s plans for the plant as the facility requires the backing of local officials, allotting Izumida some leverage. ……. Izumida suggested that TEPCO should be fully stripped of responsibility for decommissioning the destroyed Fukushima reactors, and the company subjected to a taxpayer-funded bankruptcy program. Presently, the company remains primarily concerned with funding the process, along with the frequently-occurring and very immediate issue of contaminated water leaking rather than overall nuclear safety. “Unless we create a situation where 80-90 percent of their thinking is devoted to nuclear safety, I don’t think we can say they have prioritized safety,” he said. ……..
We would like to share the message for our October 19th Conference, from Dr. Hiroaki Koide, an Assistant Professor at Kyoto University Research Reactor Institute, who has been working tirelessly to abolish nuclear power. I always wished to abolish all the nuclear power before any catastrophic accident at any power plant. The Fukushima Daiichi nuclear power plant accident made my wish never come true. It has already been 2 years and 7 months since the first outbreak, but still Tepco cannot even locate where the reactor core that melted through. In this chaos, they pour water to cool the heat, and leak contaminated water. The reactor site at the Fukushima Daiichi is a radioactive morass. Since March 11th of 2011, it has been contaminating the Pacific. There are subcontractors of Tepco and day labors combatting against this deadly radiation. Outside the reactor site, more than ten thousands people’s lives are destroyed. They evacuated, and have no home to come back. There are several millions, including babies are abandoned in contaminated areas and exposed to high radiation. 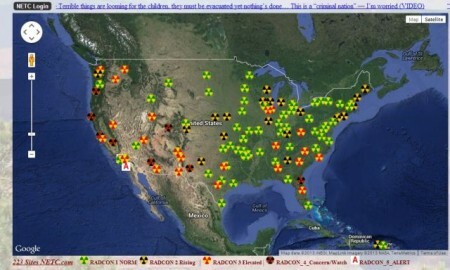 If we applied legal compliance, the entire region must be already designated as radiation controlled area. The criminal Japanese government who perpetuated this suffering to the people still thrives to restart nuclear power plants, building new ones, and is going to export them to overseas. They lied that Fukushima is fully under the control, so Japan will be hosting the 2020 Olympics in Tokyo. If they say the accident is under the control, they must retract that declaration of a nuclear emergency situation and obey legal compliance as a responsible nation. I lost my words at the blatant lack of responsibility and humanity. I wish those who are in charge of this accident must be jailed, which is another wish that will not come true. I am hoping to do my best to ease the pain of Fukushima survivors and work for children who are not responsible for this accident at all. I would like to do my best to reduce their exposure to the radiation as much as possible. We have one earth, one world, and we are all connected. I wish my best for the people of California and your effort because we all want to abolish all the nuclear power plants around the world. The operator of the damaged Fukushima Daiichi nuclear power plant has resumed its trial run of a key water decontamination system. It was shut down due to malfunctions. Tokyo Electric Power Company on Monday began test-running one of 3 channels of the Advanced Liquid Processing unit, or ALPS. ALPS is capable of removing 62 different kinds of radioactive substances, excluding tritium. Operation of the channel was suspended in June following leaks of unprocessed radioactive water. TEPCO engineers discovered holes in the tank storing the contaminated water. Corrosion is apparently to blame. Work to prevent corrosion has been ongoing in all 3 channels of the ALPS system. A test-run of another ALPS channel began about a month ago. The remaining channel is scheduled for a trial-run mid November. Repeated suspensions of the unit have delayed the start of full-fledged operation till next year. Full operation was due to begin this autumn. TEPCO plans to build 3 more ALPS channels next year. They also plan to set up a facility with higher water processing capabilities with government aid. The utility hopes to complete decontaminating all its stored wastewater by March 2015. But the question remains whether the trouble-marred ALPS system is capable of functioning over long periods. This commentary is from Japanese comedian and activist Mako who has been covering the Fukushima disaster .. The president of Tokyo Electric Power Co. told the chairman of the Nuclear Regulation Authority Oct. 28 that the utility is seeking to place more of its workers at the embattled Fukushima No. 1 nuclear power plant to better deal with the continuing leaks of radioactive water. TEPCO President Naomi Hirose talked about the plan with Shunichi Tanaka, chairman of the NRA, as the utility is facing mounting criticism over its handling of the situation. Tanaka summoned Hirose to discuss how to fix the problems and improve working conditions for workers there. Hirose explained that it is getting difficult for the utility to secure sufficient manpower at the plant and that it was grappling with tasks the company was not familiar with. He even said workers there were having difficulty trying to communicate while wearing surgical masks to protect them from radiation. The Fukushima No. 1 plant has been plagued by numerous troubles, in addition to the enormous task of cooling its melted fuel rods. The most immediate challenge is how to prevent radioactive water from escaping into the sea. Hirose said that TEPCO plans to mobilize more of its employees, including some from its hydraulic and thermal power plants, to the Fukushima No. 1 nuclear power plant as part of a company-wide effort to stop the leaks and proceed with decommissioning. Tanaka also called on Hirose to implement sweeping steps to safeguard workers from high doses of radiation and other troubles at the plant by drawing up a long-term plan of action on how best to proceed. The Yomiuri Shimbun A government panel will likely agree that Tokyo Electric Power Co. can stop paying compensation to people who were forced to evacuate at the government’s direction one year after the evacuation order is rescinded. The government’s Committee for Dispute Resolution for Compensating Damages from the Nuclear Power Plant Incident, chaired by Gakushuin Prof. Yoshihisa Nomi, held a meeting Friday and reached a broad agreement on the basic points regarding the termination. TEPCO has been paying ¥100,000 per month per person for causing psychological damage to the residents of evacuation zones since the nuclear disaster occurred at the Fukushima No. 1 nuclear power plant following the Great East Japan Earthquake. The panel plans to incorporate the new rules regarding compensation in a set of interim guidelines to be revised by the end of this year. The guidelines, however, will likely include a provision along the lines of, “[Termination of the compensation] will be subject to change based on circumstances at the time,” because one committee member opposes the plan on the grounds that one year is too short. The panel will likely set the minimum level of compensation for houses at 60 percent to 80 percent of their value when they were constructed. Regarding land, the committee indicated a plan to make additional compensation possible in consideration of land prices. The current standard uses the value of vacated land based on its last property tax assessment before the March 11 disaster. However, the committee plans to set a new rule in the guidelines for such factors as evacuees who bought high-priced land in urban areas. Under the new guidelines, the evacuees are likely to receive up to 50 percent to 75 percent of the difference between the land values of their residence before the crisis and those in, and around, the area they moved to within the prefecture. At the meeting on Friday, the committee stated that TEPCO has paid ¥90 million in compensation, on average, for a four-person household who lived in a zone where residency is prohibited for an extended period. It was the first time the actual amount of compensation by TEPCO was officially released. The figure is an average of the compensation that was paid in the period from when the disaster occurred until Sept. 20, based on measures for comprehensive payment of claims for compensation in which evacuees can receive compensation for up to a five-year period. The ¥90 million compensation includes money for land and a house at ¥41.7 million; household goods at ¥7.4 million; damage for losing jobs at ¥10.9 million; and psychological damage. Nuclear regulators can’t win, Japan Times , 27 Oct 13 THE NUCLEAR REGULATION AUTHORITY – , which observed the first anniversary of its creation on Sept. 19, faces two diametrically opposed criticisms. Proponents of nuclear power generation criticize the NRA as the root cause of the delay in the government’s policy to promote nuclear power, while “no-nuke” groups brand the body as a mouthpiece of the “nuclear power village” (the strong network of public organizations and power companies that work toward expansion of nuclear power). Fukushima: A Nuclear War without a War: The Unspoken Crisis of Worldwide Nuclear Radiation! 戦いなき核戦争：報道されない核による世界規模の放射能攻撃! Global Research's Online Interactive I-Book Reader brings together, in the form of chapters, a collection of Research feature articles and videos, including debate and analysis, on a broad theme or subject matter. In this Interactive Online I-Book we bring to the attention of our readers an important collection of articles, reports and video material on the Fukushima nuclear catastrophe and its impacts. The World is at a critical crossroads. The Fukushima disaster in Japan has brought to the forefront the dangers of Worldwide nuclear radiation. The crisis in Japan has been described as "a nuclear war without a war". In the words of renowned novelist Haruki Murakami: "This time no one dropped a bomb on us. We set the stage, we committed the crime with our own hands, we are destroying our own lives." Nuclear radiation which threatens life on planet earth, is not front page news in comparison to the most insignificant issues of public concern, including the local level crime scene or the tabloid gossip reports on Hollywood celebrities. While the long-term repercussions of the Fukushima Daiichi nuclear disaster are yet to be fully assessed, they are far more serious than those pertaining to the 1986 Chernobyl disaster in the Ukraine, which resulted in almost one million deaths. New Book Concludes Chernobyl death toll: 985,000, mostly from cancer Global Research, September 10, 2010, See also Matthew Penney and Mark Selden The Severity of the Fukushima Daiichi Nuclear Disaster: Comparing Chernobyl and Fukushima, Global Research , May 25, 2011. Moreover, while all eyes riveted in the Fukushima Daichi plant, news coverage both in Japan and internationally failed to fully acknowledge the impacts of a second catastrophe at TEPCO's (Tokyo Electric Power Co Inc.) Fukushima Daini nuclear power plant. The shaky political consensus both in Japan, the U.S. and Western Europe is that the crisis at Fukushima has been contained. The realities, however, are otherwise. Fukushima 3 was leaking unconfirmed amounts of plutonium. According to Dr. Helen Caldicott, "one millionth of a gram of plutonium, if inhaled can cause cancer". An opinion poll in May 2011 confirmed that more than 80 per cent of the Japanese population do not believe the government's information regarding the nuclear crisis, (quoted in Sherwood Ross, Fukushima: Japan's Second Nuclear Disaster, Global Research, November 10, 2011). The Impacts in Japan: The Japanese government has been obliged to acknowledge that "the severity rating of its nuclear crisis matches that of the 1986 Chernobyl disaster. "In a bitter irony, however, this tacit admission by the Japanese authorities has proven to been part of the cover-up of a significantly larger catastrophe, resulting in a process of global nuclear radiation and contamination. "While Chernobyl was an enormous unprecedented disaster, it not only occurred at one reactor and rapidly melted down . Once cooled, it was able to be covered with a concrete sarcophagus that was constructed with 100,000 workers. There are a staggering 4400 tons of nuclear fuel rods at Fukushima, which greatly dwarfs the total size of radiation sources at Chernobyl." Worldwide Contamination! The dumping of highly radioactive water into the Pacific Ocean constitutes a potential danger to a process of global radioactive contamination.